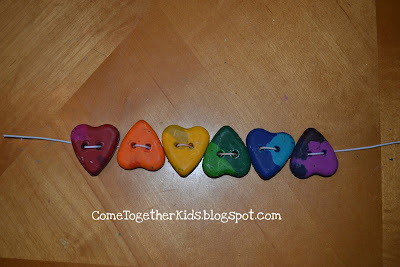 So, I made some super cute Crayon Heart Bracelets! 1. Gather your supplies ~ molded crayons, some round cord elastic, sharp metal stick (I used a metal skewer, although an ice pick or something similar would also work). 2. Heat the tip of your skewer over a flame for a few seconds, then poke it into your crayon to melt a hole. If your molded crayons are pretty thick, you can make your hole sideways through the crayon like a bead. Mine weren't quite thick enough, so I poked two holes so it would be like a button. Obviously, you'll want to be careful here ~ that metal skewer is sharp and hot! I set the crayon down on the plate, then pushed the skewer down to make the holes. Then I lifted it up to push it the rest of the way through. I also found it helpful to wipe the melted wax off the skewer in between crayons so the color wouldn't bleed onto the next crayon. 3. Do the same for all your crayons. 4. Thread your crayon beads onto the elastic cord. 5. Tie the ends to form a bracelet and you're ready to go! 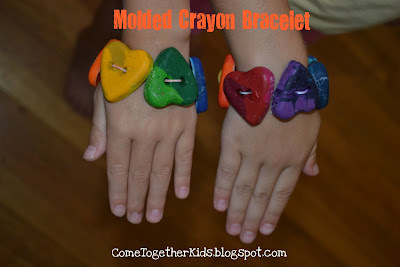 We made rainbow bracelets because that's what my rainbow-infatuated girls wanted, but you could easily make any color combination or add beads to make a necklace too! Now you can color away! 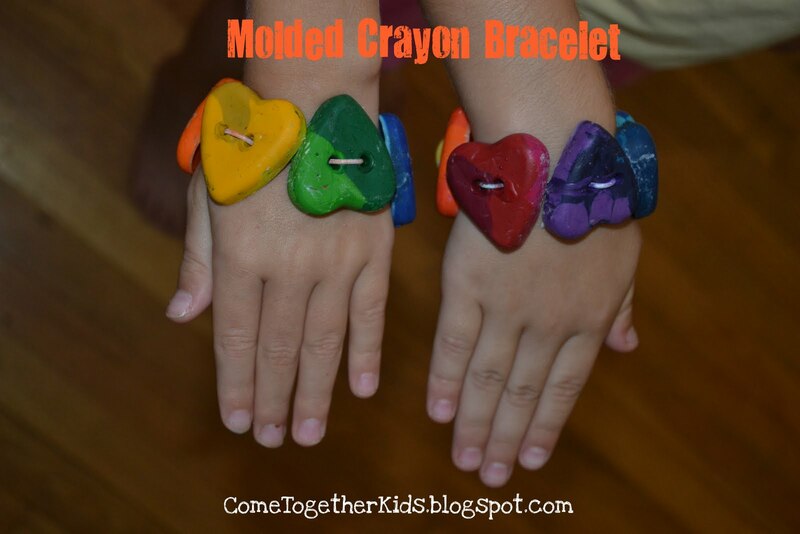 Not only are the little bracelets super cute, but they're also a great way to bring a few crayons with you in the car or out at a restaurant, without having to worry about them rolling away. 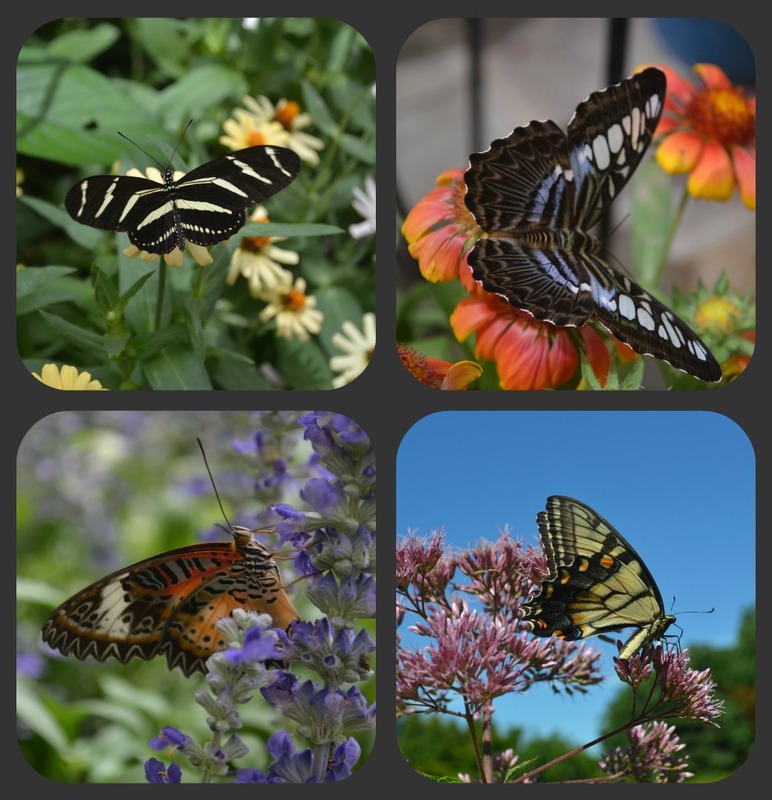 As we reach the midway point of the summer, our Summer Fun Party has grown to well over 100 links, with more being added all the time. 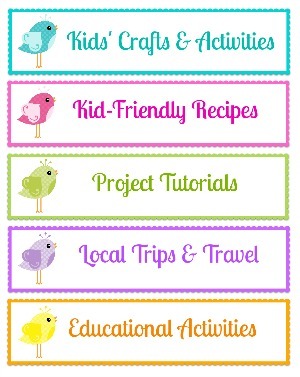 Check out all of the great activities, projects and recipes that have been shared ~ you're sure to find something that's perfect for you and your family. 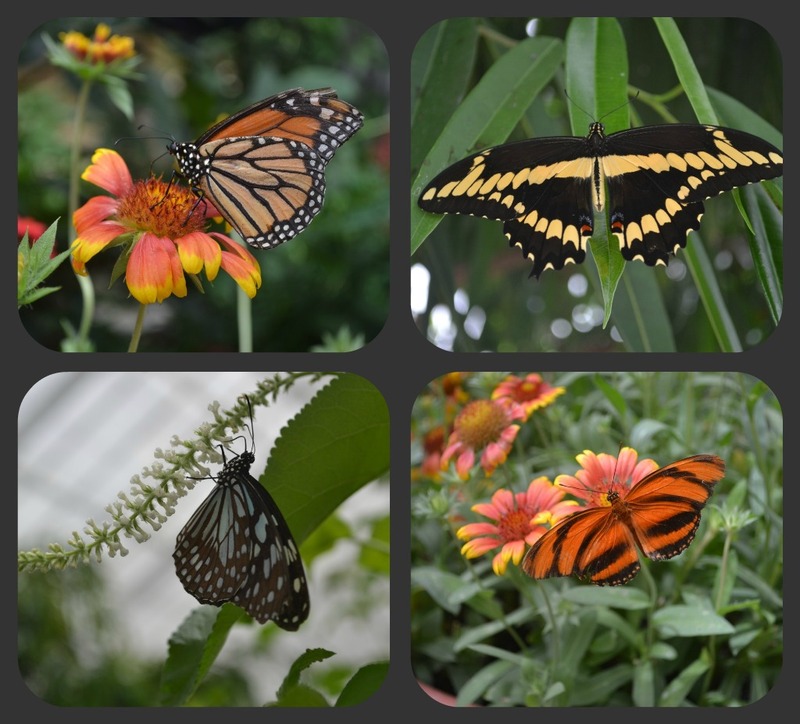 Here are Five Fun Ideas for some Bright and Colorful projects that I can't wait to try! I love the look of tie-dye, but I'm always leery about making a huge mess. without the spilled bucket of dye! How awesomely colorful is this rainbow canvas? or a really neat teacher's gift. Continuing with the colorful theme, aren't these bracelets pretty? You'll never guess how they're made (but it doesn't look too hard). So pretty, and what a fantastic way to use up your fabric scraps. My girls would love doing this and *I* would love doing this too. We wear our flip flops constantly here during the summer. would make a great addition to our summer shoe collection! Thanks, ladies, for sharing your great colorful projects! 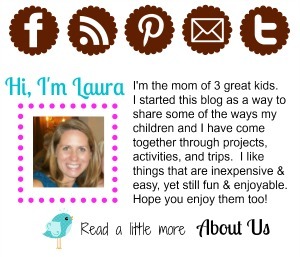 Don't forget to check our Summer Fun party for other great ideas. New projects are being added all the time. Today our horrendous heat wave finally broke a little bit. Instead of temps in the 100's, it was only in the low 90's. (seemed so cool, by comparison!) Even though we had fun making the Hot Car Crayons the other day, we were definitely getting tired of having to stay indoors for most of our days because outside was so unbearable. Riding on the one-mile paved path. change into our swimsuits and go for a swim in the pool. we thought the little stream looked really inviting. So, we changed our plans! We thought we'd just walk down next to the stream, but before we knew it, we were all wading in the shallow water. No water shoes, no bathing suits, just their sneakers and regular clothes! in the middle of the stream too! they started screaming about seeing a "river lobster"! and they loved looking for more of them. Watch out for the "river lobsters"! and took turns swinging on it! 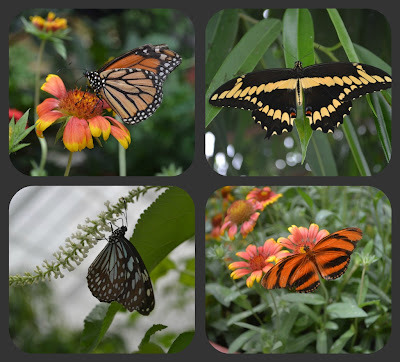 such a fun change of plans and we loved it. Thanks again, Pinterest, for helping me find another cool idea, this time from Cute Food for Kids. I think these fun little magic messages might replace paper lunchbox notes in the kids' lunches when school starts. They definitely got a kick out of them for a summer snack. Best thing is, they were SUPER easy! 1. 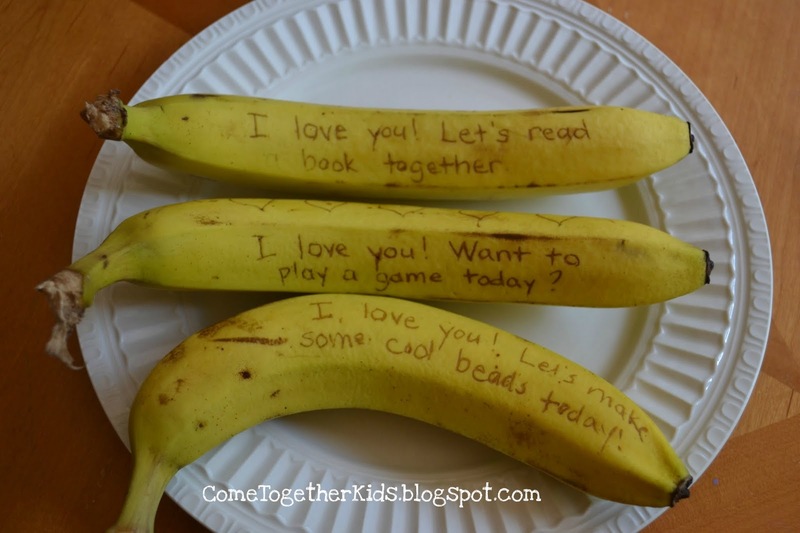 Using a toothpick, draw a picture or write a message on your banana peel. 2. At first, it will be rather tough to see. 3. But after several minutes, your magic message will begin to darken. 4. After about an hour (or by lunchtime if you pack it in a lunch box), you'll have an easy-to-read special message that your child will love to read. ** NOTE ** I've found that the message tends to show up more quickly when the banana is more ripe. 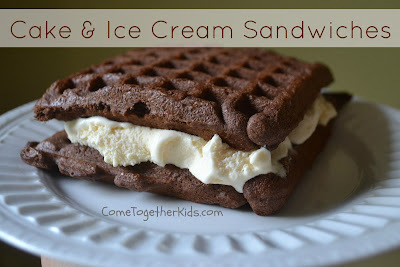 When we made our yummy Cake Mix Waffles, I knew they'd be perfect for ice cream sandwiches. We got the great taste combination of cake and ice cream, but because we made our "cake" in the waffle iron, we didn't have add any more heat to our summer day by turning on the oven. 1. Allow your cake mix waffles to cool on a baking rack, then put them on a cookie sheet in a single layers with waxed paper in between. Put them in the freezer to get a bit colder and a little more firm. 2. Take out your ice cream and allow it to soften slightly so it's easily scoopable and spreadable. 3. Scoop out some ice cream and spread it on your waffle, then add another waffle to make your sandwich. 4. Put your waffle sandwiches back in the freezer until ready to eat. We're in the middle of a heat wave here this summer. We wanted a little baked treat, but because it feels like an oven outside, there's no way I'm turning on my oven inside! Then I remembered seeing the great idea of making cupcakes using a waffle iron at Random Thoughts of a Supermom ~ what a perfect solution. We could have a little treat without sweating any more than we had to. 2. Heat up your waffle iron and mix the cake mix according the directions. 3. Pour the cake mix batter onto the waffle iron. Check your manual for amounts and times. Mine used about 1/4 cup of batter per waffle and cooked for about 3 minutes. 4. Put the finished waffles onto a cooling rack to cool, then enjoy. We ate a couple just plain since we didn't have any frosting on hand, and then made the rest into some yummy Cake and Ice Cream Sandwiches.